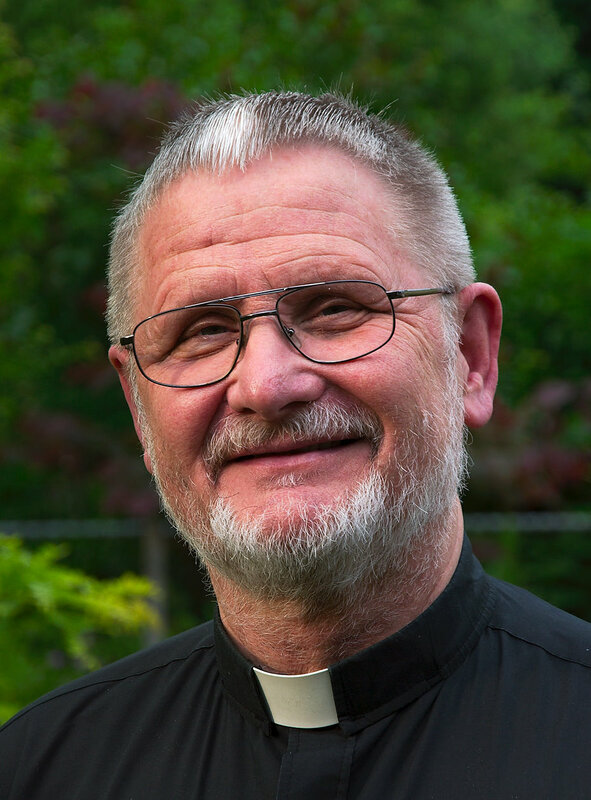 Pastor Wilhelm Torgerson, most recently of Lutherstadt-Wittenberg, Germany, has just begun a year as Visiting Professor at Concordia, St. Catharines. Pastor Torgerson is well known to Canadian Lutherans, having grown up in Edmonton and having served as a pastor for four years in Medicine Hat, Alberta. The rest of his ministry has been in the Independent Evangelical Lutheran Church (SELK), LCC’s sister in Germany. Pastor Torgerson–known affectionately as “Torgy”, and as Dr Torgerson since his alma mater, Concordia, Ft. Wayne, bestowed on him the D.D. honoris causa–will teach classes in pastoral ministry, preaching, New Testament, and the history of “Old Lutherans” in Germany. His year of visitation is generously sponsored by the Marvin M. Schwan Foundation. Pastor Torgerson is anxious to travel in LCC, and is seeking invitations to visit your congregation. He is willing to preach, teach, and deliver presentations about our church’s roots in Germany and the story of our sister churches there. This may also be an ideal opportunity for you to hold a German heritage service. Pastor Torgerson is also available to act as a seminary ambassador. Like all the regular faculty at the seminary, he is happy to speak to your congregation about supporting the seminary and leading young people to consider the ministry. We would also encourage circuit meetings and pastoral conferences to consider him as a speaker. If you would like to arrange a visit, please contact him at the seminary or via e-mail: wtorgerson@brocku.ca. At once jovial, earnest, pastoral, and theological – Dr. Torgerson enters wholeheartedly into the conversation, no matter what the topic. The seminary community will be greatly enriched by his presence in both classroom and hallway; CSC could hardly be blessed with a more able visiting professor. Every blessing in your sojourn, Torgy!